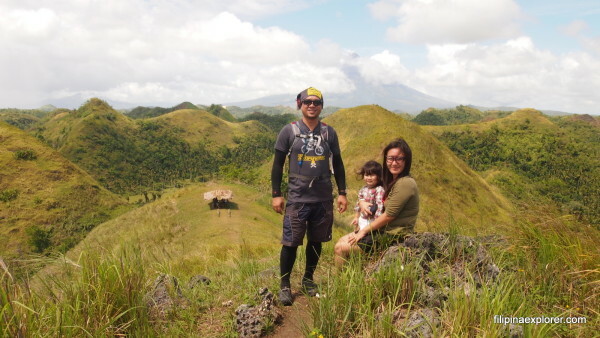 Here’s another episode of #FamiliesOutside and this time around, we’re featuring a mom-and-daughter tandem who love doing day trips to practically anywhere (while the dad escapes for a bike ride, haha). 1. Give us a short background of your family. 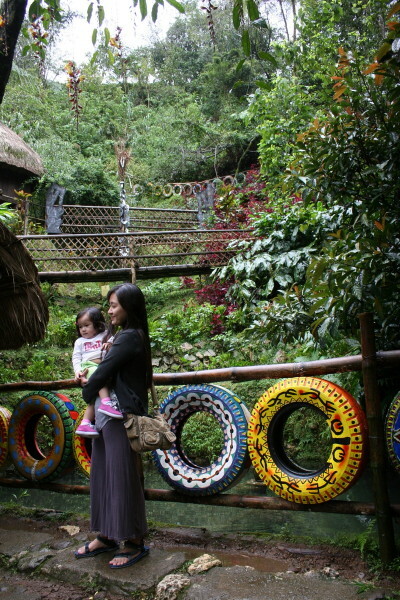 We’re an average Pinoy family of three with a knack for thrills. The husband mountain bikes for leisure on Sundays. 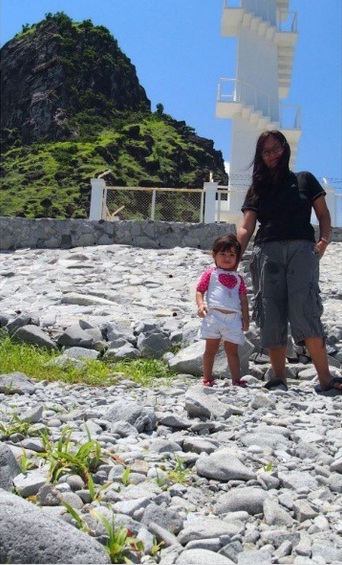 Lia, my 3-year old daughter, and I sneak out to beaches, parks, hills, museums or any random destination while he’s out. We’re not the perennially wandering kind though. We do the usual stuff families do: work, pay the bills and the mortgage, watch cartoons, do the laundry, and, yep, squabble. 2. Do you travel full time or part time? When did you start and why? The three of us usually travel only on occasions, then Lia and I go on solo daytrips biweekly or once a month. We like the comfort of retreating to a familiar territory after an exploration. 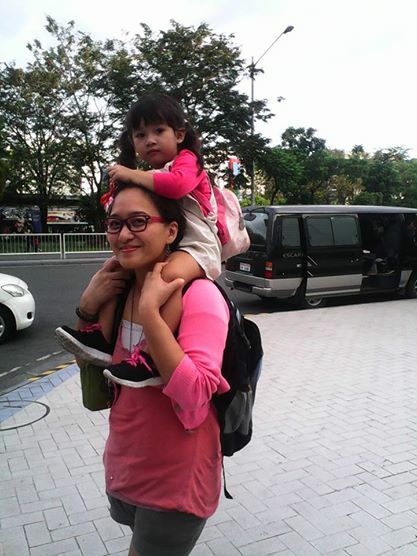 I started traveling when I was three, but I began traveling solo with Lia when she was 6 months old. The first time it was because I was starting to feel shackled from being boxed inside the house 24/7. I craved new discoveries. I felt some change was in order. But traveling has evolved to something transcendent since then. Now, it’s more about setting Lia up to develop her sense of self and passing on the invaluable, simple, and oft-forgotten lessons in life. 3. How do you afford to travel as a family? Do you also work on the road? I don’t spend on things that aren’t necessities like fancy clothes, upscale restaurants, gadgets. I’ve never owned a tablet, and I haven’t bought a new phone in like, five, six years. So whatever money I don’t spend on material things, I spend on experiences. Also, Lia has been breastfed since day 1, so that definitely saved me hundreds of thousands on formula. As a home-based writer too, I’m able to carry work with me wherever I am; I work on projects even when I’m away. I also save a small portion of my earnings and make handmade travel accessories for my online shop, Explorer Accessories, to help fund trips. 4. How do you plan out your trips (and for full time travelers, are you always out or do you have days where you just stay in)? Do you particularly choose those “family-friendly” or “kid-friendly” destinations or are you flexible and just simply adapt to the place? Most of our travels are daytrips and made on the fly, so I don’t usually make elaborate plans. I do read up though on various destinations on my (non-existent) spare time, so the research comes waaay ahead of time. I’m a fan of arbitrariness and walang-arte traveling, so we tend to explore less-trodden paths. But of course, that doesn’t mean safety isn’t a priority or that Lia doesn’t have a say in the itinerary. She does – in equal proportion. 5. What is that one item you can never travel without when you are with kids? Actually, there are 3: my nursing cover, wet wipes, and water. And of course, my house keys. Haha. 6. There are varied opinions when it comes to learning while traveling VS. formal schooling. What is your stand on this? Does travelling really give an advantage to your kid’s education, based on experience? I’ve no personal experience on the subject (my daughter’s only 3), but while I do plan on having Lia enrolled in a formal school setup – for her to have greater amounts of socialization and also be better acquainted with certain rules in society – I believe too that there’s no right and wrong school of thought on this (excuse the pun) or a better discipline than the other. Every family is unique in their needs and preferences, and dynamics that apply to one may not be applicable to another. The decision on whether a child should be home-schooled or schooled in a formal institution really depends on whether the choice serves its goals or not. 7. 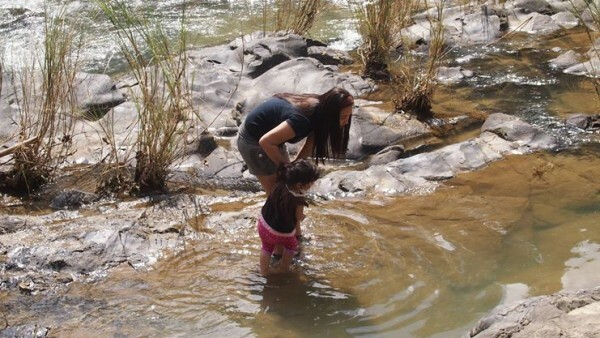 What advice would you give to families who want to start out a travelling lifestyle? Many of the moms I talk to have reservations about traveling with their kids because they see it as too difficult or risky. It does have its own unique challenges, but there are also plenty of kindnesses and lessons to be learned on the road. You don’t have to go very far for it to be considered traveling. Start with small baby steps. Go to your local market or parks. Confidence builds from there. It’s a rewarding and eye-opening experience. It changes you; it lets you experience and see motherhood and your child in an entirely different perspective – you know, outside rules and the routine we’ve become accustomed to at home. 8. Where else can we guys read about your family adventures? 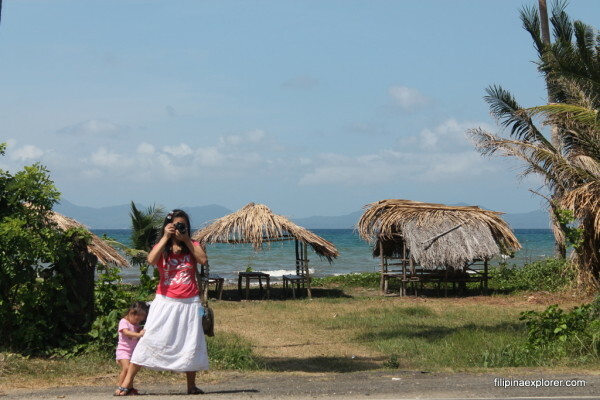 You can peek in our adventures through my blog, Filipina Explorer. 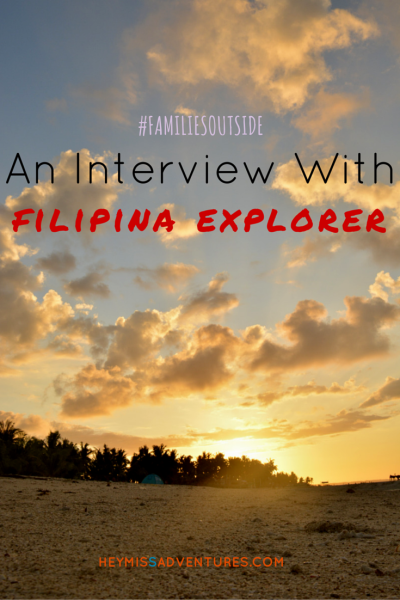 #FamiliesOutside is an interview series to help encourage families to go out and explore places, near or far. 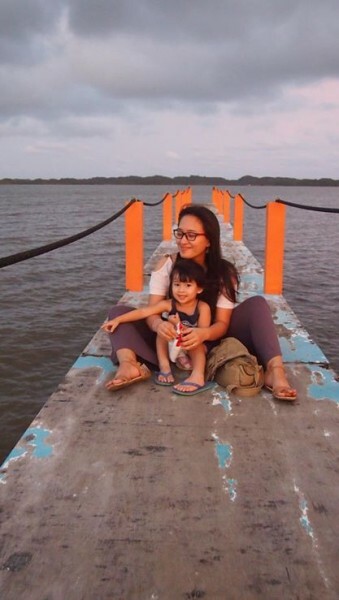 Bi-monthly, we feature families who love travelling – full-time or part-time – or who simply love including the outdoors in their daily activities. Thank you so much for this, Pam! 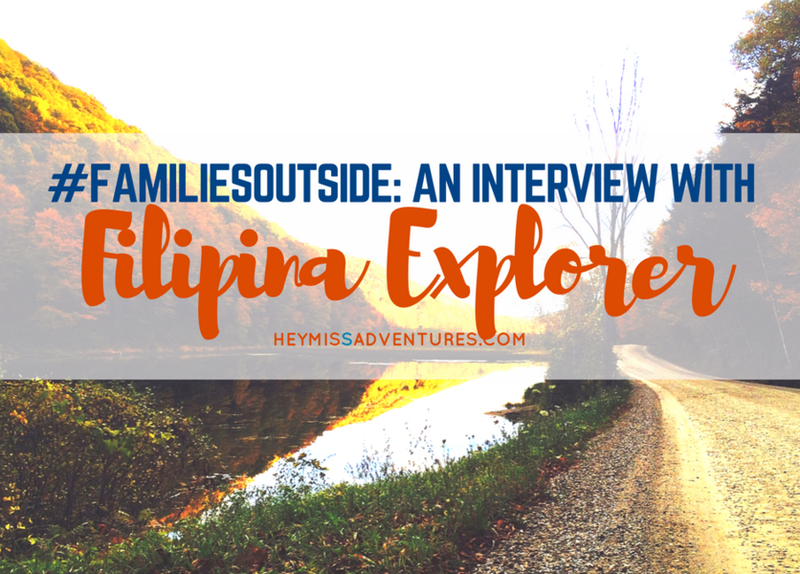 🙂 I appreciate the opportunity to be interviewed by a fellow mom/ adventurer.